Showing results for tags 'commodity tips'. Is there a reason to worry about the higher contribution of retail loans in the economy? Does currency risk impact your investments? 3 ways you can hedge your exposure. Sovereign Gold Bonds vs physical gold vs gold ETFs: What should you buy this Akshaya Tritiya? Do you own these top 20 stocks which fell up to 60% in Q1 CY18? Why Oil Prices Bumpy After Western Strikes On Syria? Will Oil Price Rebound After trade war loom over market? GOLD - Gold prices turned lower on Friday as the dollar regained ground after the U.S. Senate approved a budget plan for the 2018 fiscal year that will ease passage for Republicans to pursue a tax-cut package without Democratic support. The Republican-controlled Senate voted for the budget measure late on Thursday by 51-to-49, which would add up to $1.5 trillion to the federal deficit over the next decade in order to pay for proposed tax cuts. The U.S. Federal Reserve is widely expected to raise its benchmark interest rate for the third time this year in December. Higher rates tend to boost the dollar, putting pressure on the greenback-denominated gold. Meanwhile, a report that Trump was leaning toward Fed Governor Jerome Powell, who is perceived as a less hawkish candidate, as the next Fed chair had weighed on the dollar earlier in the session and lent some support to gold prices. Trump concluded interviews with the five candidates, including current chief Janet Yellen, he is considering to chair the Fed and could announce a decision as early as next week. Elsewhere, the European Central Bank will say on Oct. 26 it will start trimming its monthly asset purchases to 40 billion euros from 60 billion euros in January, a Reuters poll found. CRUDE OIL-Oil prices edged up on Friday, supported by signs of tightening supply and demand fundamentals, although a warning about excessive China economic optimism still weighed somewhat on markets. The stable prices came after a more than 1 percent fall in prices the previous day. This was put down to profit-taking following four days of straight gains, but also to a sudden market slump which spooked traders after the veteran but outgoing governor of China's central bank warned of a “Minsky moment", a reference to excessive optimism about economic growth fuelled by vast debt and speculative investment. US commercial crude oil stocks have dropped 15 percent from their March records to 456.5 million barrels, below levels seen last year. Part of this drawdown has been due to rising exports as a result of the steep discount of WTI crude to Brent, which makes it attractive for American producers to export their oil. Additionally, crude futures price curves are in backwardation, which makes it attractive to sell produced oil immediately rather than store it for later dispatch. US commercial crude oil stocks have dropped 15 percent from their March records to 456.5 million barrels, below levels seen last year. COPPER - London copper nudged higher on Friday as some investors beefed up positions following overnight losses, and remained on track to post its fourth weekly rise even after retreating from three-year highs. Copper at the start of the week rallied above $7,000 a tonne for the first time since September 2014. Traders said the slight pullback in price overnight was in reaction to Thursday’s data showing economic growth in China, the world’s biggest metals consumer, was in line was expectations. While some interpreted the data as supportive of Chinese industrial activity, ANZ Bank noted investors in the sector remained cautious. State-owned China metals firm Jiangxi Copper Co Ltd plans to make an acquisition in mineral-rich Africa, president and chairman Long Zhiping said, as the country’s top integrated copper producer aims to step up overseas expansion. Stocks declined a net 3,625 tonnes to 287,625 tonnes. 8,200 tonnes of copper was freshly canceled with the majority in New Orleans. CapitalStars Award Winning, SEBI registered, ISO certified investment advisory company. We provide intraday & positional services in Equity , derivative ,commodity & currency. Our research is highly skilled & experienced. Commodity tips stock market tips Free Commodity Tips Share Tips Expert Share Tips Nifty Futures Tips Capitalstars capitalstars payment capitalstars Services For More details Visit here: www.capitalstars.com Click Here:-> http://capitalstars.com/free-trial Fill Up The Form For Getting FREE Trial...!!! Join Now!!!! Earn more with Forex Trading Tips by market experts!! 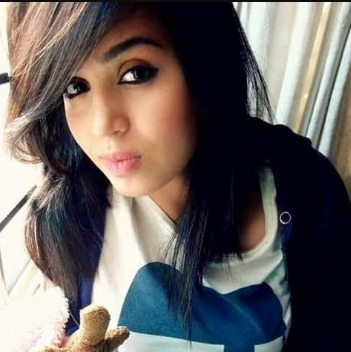 It is informed to all the forex trader who actually looking for good return from forex trading on a regular basis, that we are one of the leading financial consultant from India which are specialized in developing a profit making Forex Tips for Indian traders. We also offers the high accuracy Commodity Tips. The dollar hit five-week lows against its peers on Friday, in the wake of the Federal Reserve's cautious message this week on the outlook for interest rate hikes and on concerns over a protectionist slant to a G20 meeting this weekend. The dollar index .DXY , which gauges the greenback against a basket of six major rivals, fell 0.2 percent to 100.29 after touching 100.16, its lowest level since Feb. 9. For more realtime market information and best Commodity Tips join Epic Research. * European session sees revival for greenback * Dollar hit 1-mth low after Fed stops short of hawkish message * Euro buoyed by results of Dutch election * BOJ, SNB stand pat on monetary policy, BoE next The dollar recovered from a one-month low on Thursday as investors bought the currency on the back of sharp falls prompted by the U.S. Federal Reserve's failure to give a hawkish message on further rate rises. In early trade in Europe, the dollar index recovered all its losses since the close of U.S. trade to stand roughly steady on the day at 100.69. .DXY It was a quarter percent higher at $1.0720 per euro and flat at 113.39 yen For more realtime market information and best Commodity Tips join Epic Research. FOREX-Dollar subdued as market awaits Fed rate message * Fed rate rise on Wednesday more than 90 pct priced-in * Euro retreats as Netherlands votes * Sterling rebounds after plumbing two-month lows The dollar was subdued in European trade on Wednesday, staying range-bound ahead of an expected U.S. Federal Reserve interest rate hike with investors' eyes peeled for clues on the bank's future monetary policy. The dollar index, which tracks the greenback against a basket of six rival currencies, was off 0.2 percent, at 101.50 .DXY . For more realtime market information and best Commodity Tips join Epic Research. The recovery in EUR/USD loses steam as we head into mid-Europe, as investors gear up for the ECB policy decision for next direction on the EUR. Over the last hours, the major staged a solid comeback from four-day troughs of 1.0525, and looks to test yesterday’ highs reached at 1.0576, mainly driven by a profit-taking rally, as markets clear out EUR short positions after three consecutive days of declines. We indicated yesterday that ‘unless EUR can move and stay above 1.0610 by end of today, it is more likely that this pair has moved into a consolidation phase. EUR closed at 1.0540 and from here we expect this pair to trade sideways within a 1.0490/1.0590 range. 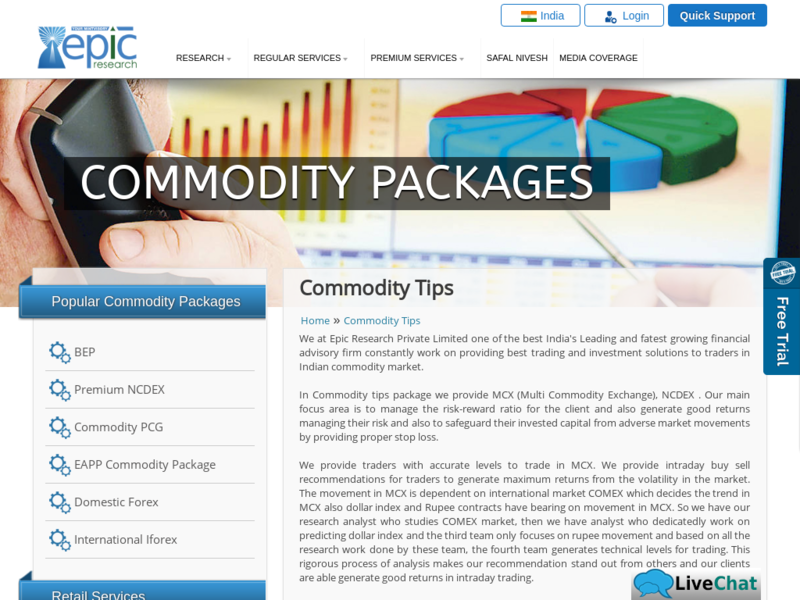 For more realtime information and Commodity Tips contact Epic Research. The US dollar garnered significant strength across the board post-European open, triggering aggressive selling in EUR/USD towards the mid-point of 1.05 handle. The major finally broke the Asian consolidation box and ran through fresh sellers amid resurgent broad based US dollar demand, as the treasury yields resume the upside. The 2-year yields, which mimics the Fed rate hike expectations, hit the highest levels since July 2009 at 1.346%. The market has remained capped by the downtrend at 1.0631. Focus has shifted to last weeks low at 1.0494. Below here we continue to target recent lows at 1.0352/40 For more real time market information and profitable Commodity Tips Join India's leading advisory firm Epic Research. The pound turned lower against the U.S. dollar on Friday, after the release of weak U.K. retail sales data, although the greenback’s gains were expected to remain limited ahead of Donald Trump’s inauguration ceremony later in the day. GBP/USD hit 1.2290 during European morning trade, the session low; the pair subsequently consolidated at 1.2296, shedding 0.40%. Sterling was also lower against the euro, with EUR/GBP rising 0.27% to 0.8664. For more real-time forex market updates and best forex signals and Commodity Tips contact Epic Research. How to make from the Forex on a Daily Basis? 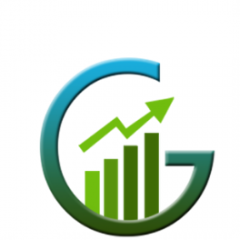 I am a professional financial advisor and research analyst for Stock, Commodity and Forex market. I think profit making from the stock market or any kind of market is very easy if you have enough knowledge about market, as a trader you must monitor the market regularly which stock in trend now etc. 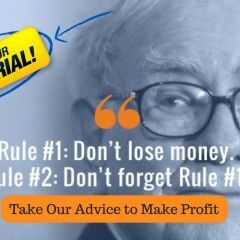 So the conclusion is that the profit making may be little confusing for a normal user and i have a solution for this problem, new traders can take help from a professional advisor which can provide the accurate forex tips, Stock Tips, Commodity Tips etc. Apart from this please suggest the other points that how can traders make money regularly. The pan-European Stoxx 600 was down 0.02 percent at the start of the session with several stocks in red. Health care stocks were outperforming the other sectors, going up by 0.7 percent. According to Bloomberg, the U.S. company Johnson & Johnson is considering a potential takeover of the Swiss biotech firm Actelion. U.S. markets will re-open Friday but only for half day, continuing to limit the available amount of liquidity For more real-time market updates and free stock tips, commodity tips and Forex Tips contact Epic Research. AUD/USD gained 0.49% to 0.7438, the highest since November 17. The Australian Bureau of Statistics earlier said that construction work done dropped 4.9% in the third quarter, compared to expectations for a 1.7% fall. NZD/USD rose 0.21% to trade at 0.7078. For more real-time market news update and profitable Forex Tips, Stock Tips & Commodity Tips get in touch with Epic Research Ltd.
Epic Research Ltd is a leading Commodity market Advisory Company which is specialized in providing Commodity Tips, commodity trading tips covering almost all the major segments of the commodity market.